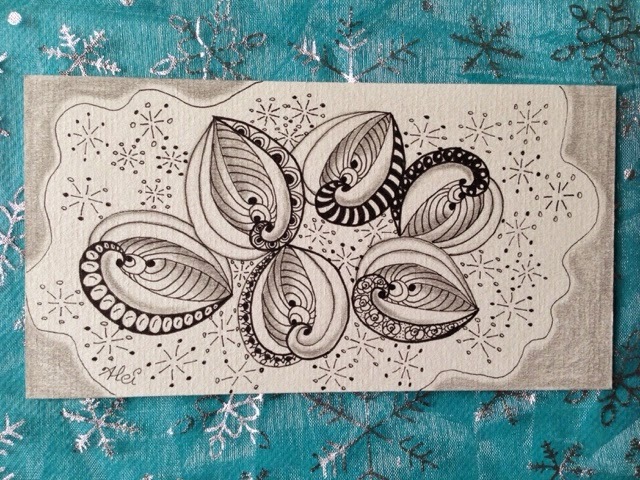 Finaly, I can post my New Year's cards I made in December. 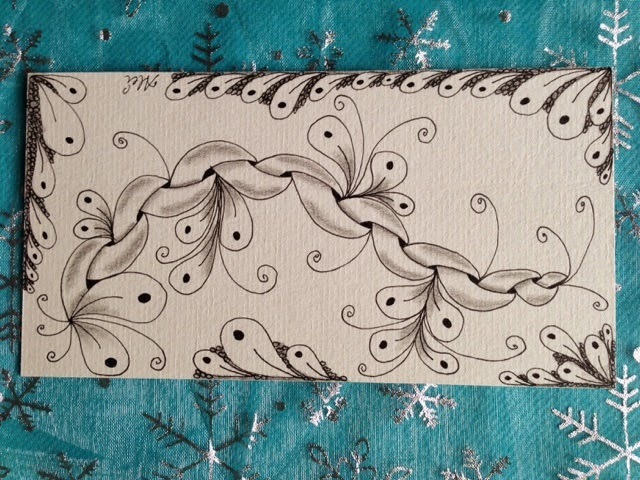 For all my teenage nieces and cousins I would see on New Year's Day I made a New Year's card. 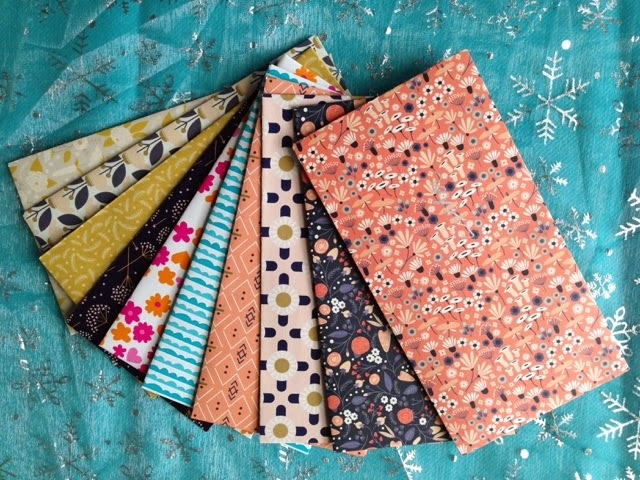 I put them all in a nice envelope - found within the Flow magazine - together with some pocket money. 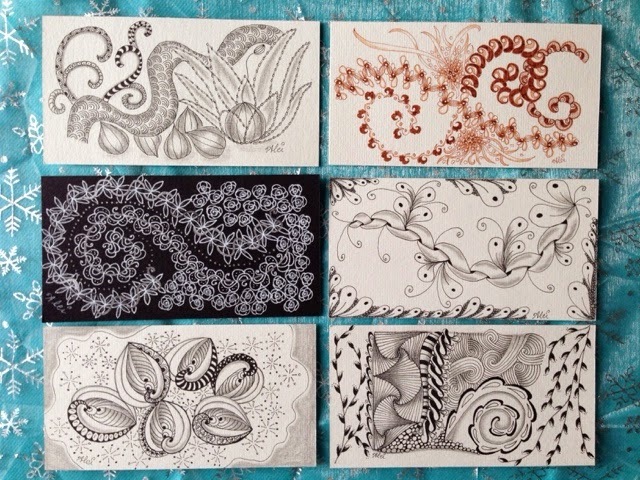 I had to make 10 cards and it took quit some evenings before they were all finished ! 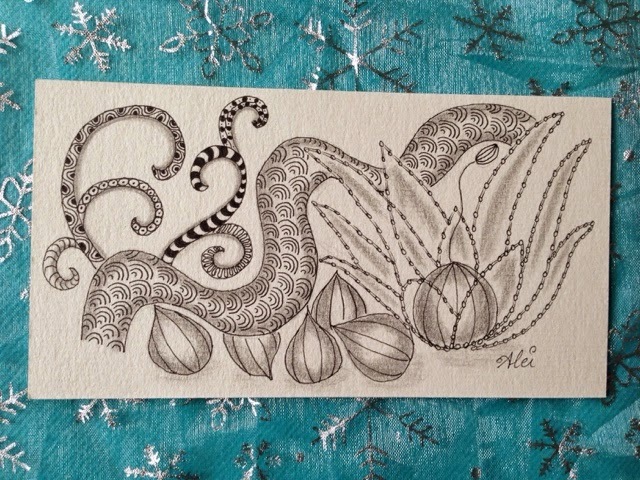 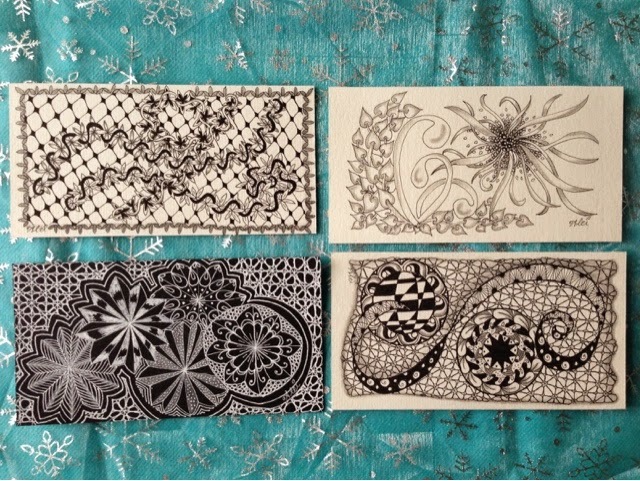 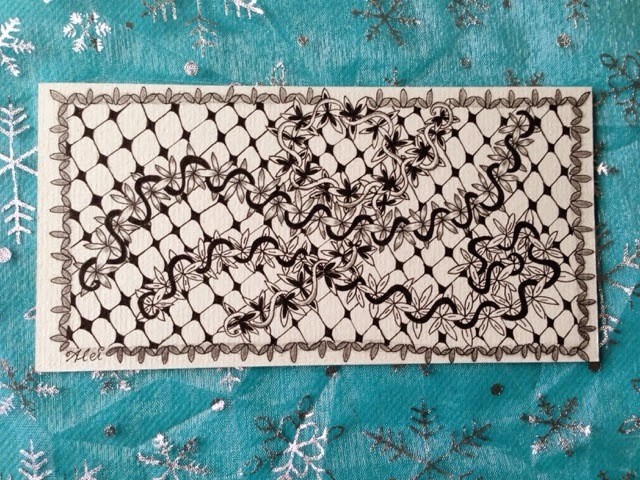 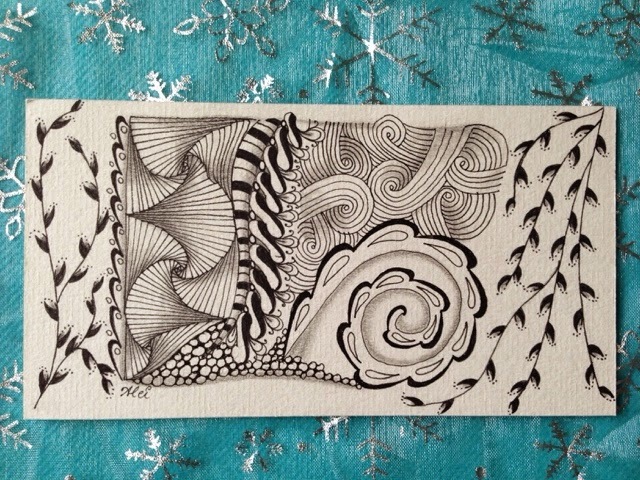 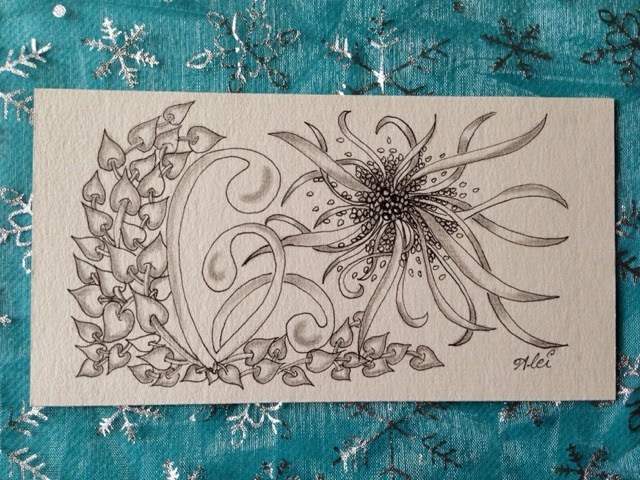 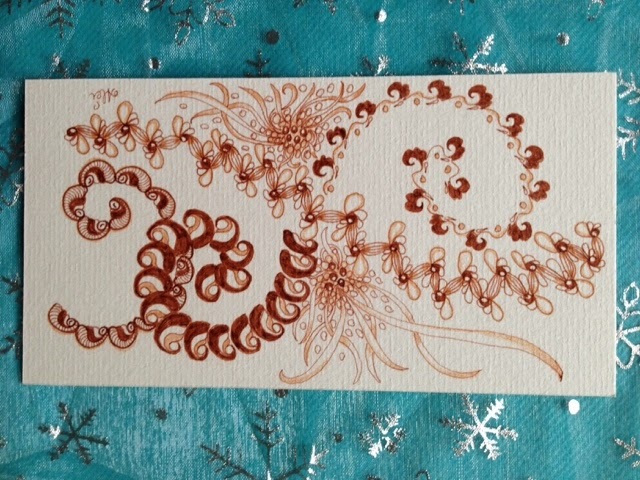 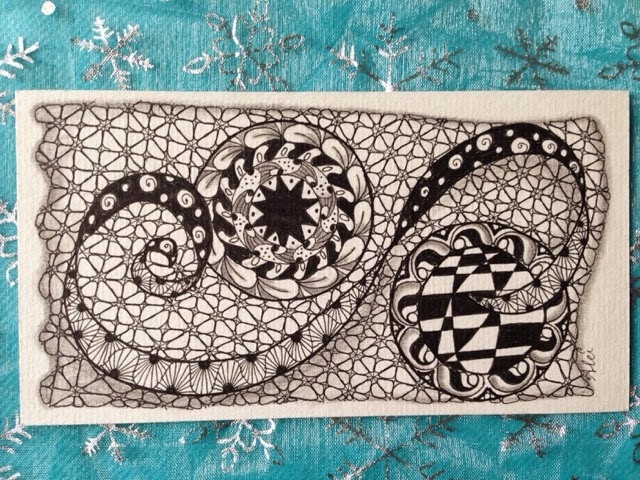 But they were all very pleased with their zentangle card, and so it was worth the effort and yes to me it is stimulating to continue tangling and publish the results on my blog. 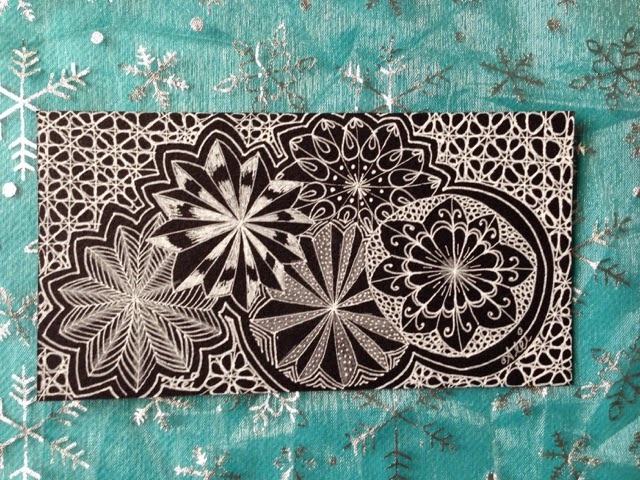 You can see al the cards here. 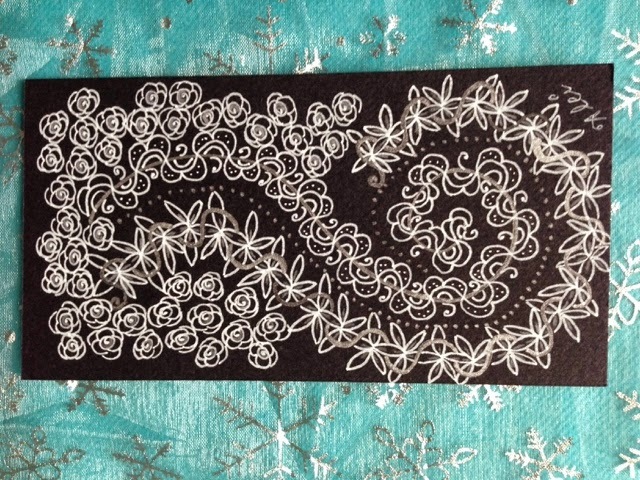 And the beautiful envelopes made with paper out of the Flow magazine (Flow is a nice dutch mindfulness magazine).